The Flynn Garry Group at Morgan Stanley, a well-established and experienced financial advisory team, utilizes sophisticated financial planning to help our clients’ determine their goals, dreams and tolerance for risk. We then structure an investment strategy designed to help achieve those goals and dreams through a disciplined investment process. We are highly sensitive to our clients’ concerns regarding taxes, risk and the tax-efficient transference of wealth during life and at death. We seek to help our clients reach their goals with the least amount of risk. One of Brian’s life passions is the study of finance, business and investment. 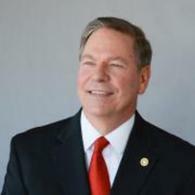 In college, Brian earned an Economics degree from Rutgers College, Rutgers University. With over 19 years in Financial Services, he joined Morgan Stanley in 2009 as a Financial Advisor. 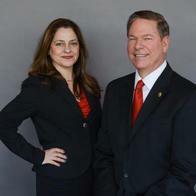 Brian adheres to a disciplined wealth management and financial planning process. Brian holds Series 7, 31, 66 licenses as well as Life and Health Insurance licenses, practicing in over 15 states throughout the country. He is a member of the National Futures Association. Brian resides in Mansfield Township, New Jersey since 1989 with his wife Ann, and they have three adult children, Brianne, Tara and Sean. In his spare time, Brian enjoys sports, golf, spending time with family and friends, and he is active Rutgers alum. Brian leads various community volunteer efforts and scholarship opportunities, especially with the Bordentown Rotary, of which he is a Past-President, a Paul Harris Fellow, member of the Paul Harris Society, and has earned numerous club and district awards. 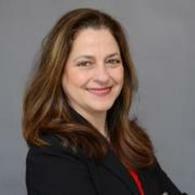 After graduating from Pace University, Lubin School of Business, Elizabeth spent ten and half years moving up the ranks at Jefferies & Company, an institutional research trading firm, to ultimately become their first women Institutional Trader to trade her own book of business for the NADSDAQ Trading desk. After taking time off to raise her family, Elizabeth returned back to the workforce in the Financial Advisor role at Morgan Stanley. As a partner in the Flynn Garry Group at Morgan Stanley, she assists clients with their financial planning and wealth management strategies. She has a strong passion for servicing and cultivating strong relationships with each of her clients. She holds her Series 7 and 66 Licenses. Elizabeth resides in Holmdel New Jersey with her husband Patrick and two children, Gulianna and Patrick. Elizabeth enjoys being active in both her community and church. She spends much of her time attending her children’s activities and is involved in Fulfill of Monmouth County, who works to end hunger in the community Elizabeth is a founding member of the Women's Networking Group, Women on Wednesdays. She considers her most valuable asset to be her family.